Alhamdulillah for the holy month of Rajab, (7th Lunar month)-, that Allah (Azza `wa Jal) is dressing from lights and realities. And the ship of the `Arifeen, Ship of Safety, traversing into the seventh lunar month. From `izzatullah and the secret of 9, dressing it with the reality of sixty-three, (9×7=63), it brings out the secret of 63. Anybody who likes math, these are important realities of numbers and codes. The importance of the numeric code is that it is an angelic reality. Alhamdulillah from the teaching of Awliyaullah and the reality of light and guidance, it is a reminder for myself; that at anytime on this Earth there are 124,000 Awliyaullah. And out of those 124,000 there are 7007 Naqshbandiyya Awliya, under the secret of Mawlana Shah Naqshband (qaddasa allahu sirrahu) Fard al`Alam, Shahe Kul which is dressing the reality of those Awliyaullah, from the reality of 7007. That 7007, when you write Alif. Laam. Laam. Ha, (letters comprising name ‘Allah’), then you put the 7007; that Mawlana Shah Naqshband is dressing and blessing them from that secret and giving them from secrets of hidayat. From the Alif of Allah (Azza wa Jal) dressing the secret of that 7. And from the two Laams they are like two nuqt (dots); we don’t have zeros but [in Arabic it is] like a nuqt (dot). Then from the Ha of hidayat dressing them from that 7. It means that the 7 holy openings of their (awliya’s) face (first 7 from left) are dressed by the 7 Divinely Essences (second 7 from left). The two nuqts (dots) means that they annihilated themselves from the Laam ل of dunya, the mulk of dunya; that they asked nothing from the dunya and took themselves to a state of mawt qablal mawt (to die before death). Means they came through the Ha (the last letter in the word Allah), which is hidayat and guidance. So with that hidayat Awliyaullah took them to the first Laam and this is the mulk of dunya (Kingdom of material world), because you have to come from Earth to the Alif of Allah (Aza wa Jal). And taught them how to divorce themselves of the material desires that are in their heart and to give everything in the way of Allah (Azza wa Jal) and live a life of service to Allah (Azza wa Jal). By accomplishing that reality Allah (Azza wa Jal) dresses them from the Laam of Akhirah (The Second Laam ل from left), the Mulk (Kingdom) of the Heavens. The one whom Allah (Azza wa Jal) gave all of that Mulk (Kingdom), to Malik al Hayat wa Malik ad Dunya ملك الحيات و ملك الدنيا, is Meem م, Hay ح, Meem م , Daal د , Muhammad محمد (sallallahu alayhi wa sallam)! Awliyaullah in their teaching, took those souls into the presence of Prophet (sallallahu alayhi wa sallam) and taught them that everything you do for Allah (Azza wa Jal) is not for a Paradise reality. So means even Paradise was like a dunya for them, that don’t do anything for that Paradise reality. Don’t ask for any station and maqaam but do what you do for Wajhi kal Kareem, for that Holy Face of Allah (Azza wa Jal), the holy face of Prophet (sallallahu alayhi wa sallam). It is called the face of Allah (Azza wa Jal) but Allah has no face. It is an expression of the realities that Allah (Azza wa Jal) dressed the soul from Divinely Essences. The Essences that are the reality of the Attributes. That reality to dress upon their reality and Allah (Azza wa Jal) is granting them from the Alif which is `izzatullah. It means our life is to be dressed by these realities, to be blessed by these realities, to reach towards `izzatullah to come to the Ha of hidayat. 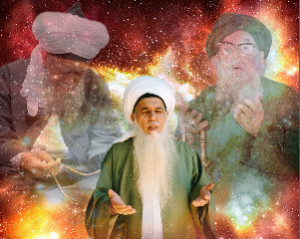 These Naqshbandi Awliya are dressed by that reality, 7007 of them. From those there are also 313 Awliyaullah and that is a different subject. From these 7007 Awliya of Naqshbandiyya they are dressed with this hidayat هداية (guidance) of Allah dresses from `izzatullah, `izzatur rasul, wa `izzat ul Mu’mineen. From that Alif it moves through those two nuqts, means they wanted nothing from the Heavens, they wanted nothing from dunya, and the Ha of hidayat Allah dresses their hidayat that they have guidance through the 7 holy openings of their face. 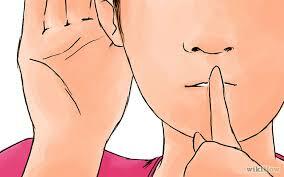 They hear with what Allah (Azza wa Jal) wants them to hear. They see with what Allah (Azza wa Jal) wants them to see. They breathe through the two openings of their breath from Nafas ur Rahmah. And Allah (Azza wa Jal) opens upon their tongue and they inherit from Lisan al Haq (tongue of truth). Lisanul Haqq is Sayyidina Muhammad (sallallahu alayhi wa sallam) and Lisan as Siddiq al`Aliyya, that Truthful Tongue Most High in Divinely Presence, and whom Allah (Azza wa Jal) grants wisdom has granted him a tremendous bounty. 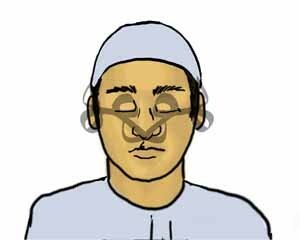 (For more information on the 7 Holy Openings of the Face, refer to article `The 7 Points of the Head`. It means that the pursuit of knowledge is supreme. Nabi Musa (alayhi’s salaam) who spoke to Allah (Azza wa Jal), all he wanted was knowledge. Means the life that pursuits divinely knowledge, not dunya and not earthly knowledges, not accounting. These knowledges of dunya we use them for our sustenance, but the Divine Knowledge of Akhirah, dresses the soul and its realities. Nabi Musa (alayhis salaam’s) pursuit was, “Yaa Rabbi let me reach toward that reality, let me learn from one of Your servants whom You taught from Your Divinely Presence, who attained a rahma who achieved a mercy,” and then (Allah says) We taught them `ilm laduni. When Nabi Musa (as) came across one of those servants. Means at every time there must be 124,000 and specifically there must be 7007 Naqshbandiyya Awliya (saints) on this Earth at all times. Sayyidina Khidr (alayhis salaam) is in the Silsila of Naqshbandiyya [10th Shaykh of the 40 Shaykhs of the Naqshbandiya Golden Chain], to show that they are inheriting from that secret of Holy Qur’an from Sayyidina Khidr (alayhis salaam). Whatever Sayyidina Khidr (alayhis salaam) was taught of these realities is given to the Awliya in front of them. And whatever new realities are coming from Prophet (sallallahu alayhi wa sallam) first come to the living Awliya on Earth. 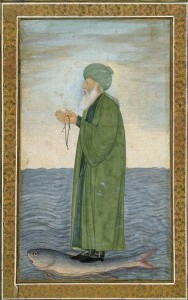 What Nabi Musa (alayhis salaam) wanted is to be taught from a higher reality, “Make me to rushd, make me to be fulfilled and to reach the reality of my soul that it has to reach.” Means they live a life of seeking out these realities, seeking out these Divinely Knowledges, and they give those with that guidance. 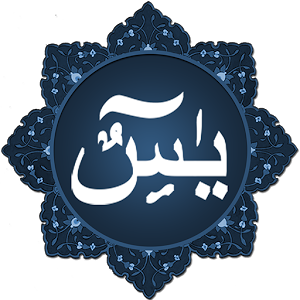 Means the hidayat that Allah (Azza wa Jal) opens, they hear that: approach Me with voluntary worship, I become the hearing of My servant, I become the seeing of My servant, I become the breath that servant breathes, I become the tongue with which that servant speaks, I become the hand with which that servant touches. I become the feet with which that servant moves. So much so they become Rabbaniyoon and whatever they want is kun faya kun, whatever need comes into their heart Allah (Azza wa Jal) begins to manifest it in dunya. It means this is from the reality of Awliyaullah that the holiness of Rajab is something that cannot be imagined. Awliyaullah are waiting the whole year for Rajab, waiting for that tajalli and that hijaab to open that Allah (Azza wa Jal) begins to dress and to bless. What miracles and lights Allah (Azza wa Jal) will dress His Creation and what gifts He gives on the bounty of that holy month, that begins to prepare them and dress them. That is a reminder of these 7 holy openings. Then to safeguard ourselves because those 7007 the 7 and 7 is on every human being and that comes into the tarbiyya of the Naqshbandiya Way, which is the inheritance of Sayyidina Muhammad (sallallahu alayhi wa sallam) and the prophetic example. What Awliyaullah want from us is that these 7 holy openings of the face that they are taking from the Alif. That at the same time as they open the 7 latayif of the face, they are working on the 7 latayif of the heart. Means you have from the Qalb, Sir, Sir o Sir, the Khafa, Akhfa, Fana, wa Baqa. From the ocean of fana they begin to annihilate that servant and from annihilation they resurrect them in Divinely Presence. Means they learned how to be ‘off’ in Allah (Azza wa Jal’s) Divinely Presence and Allah (Azza wa Jal) ignites them to be ‘on’ in Divinely Presence. Those 7 openings of the Qalb can only come by the disciplining of the 7 openings upon the holy head. Then safeguarding them. Because these teachings are lifelong and perpetual. Ramadan for people who are trying to follow a pious path is not once a year fasting, but living every day in a state of siyam. It means to safeguard the hearing that these ears don’t hear bad. As much as these ears hear bad, hear gossip, bad words and bad sounds, it brings an energy that collapses the heart. That is why our Way is based on sami’na wa ata’na. 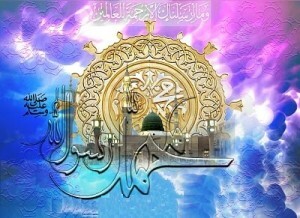 The Sahaabah heard from Prophet (sallallahu alayhi wa sallam) and they obeyed. It means there was a direct correlation between the hearing and the opening of the heart, they are linked. They begin to discipline and train us, that when you take a path of the turuq try to do your best to listen. To block out the waswas and whisperings and suggestions of your brain and open the reality of: you heard and you obeyed, which will directly open the Qalb and influence the openings of the heart. The hearing is going to be directly connected to the heart. Then they begin to train itibah (follow) that is why the training of the tareeq are such. People come and say, “There are so many rules here, this guy doesn’t let you do anything.” Because it is all based on the training of the ears. This is not the jungle, not the association of the barnyard, this is the association of how to reach Heaven and Paradise and everything is under tasleem and submission. It means to hear and to obey. That hearing and obedience opens qalb, and begins to open the Levels of the Heart. Then, they begin to train again all year round nazar bar qadam, “keep your eyes upon your feet”. It means control your eyes, control what your eyes are looking at, and what your eyes are hungry for. Because this hunger will never stop unless you take a path in which your eyes are constantly looking down, so much so that they are always shut, that you take a way of tafakkur and contemplation. If we don’t take a way of tafakkur and contemplation, means that we don’t spend time to shut our eyes and begin to ask for spiritual vision. That, my Lord these eyes are hungry, as much as they see they want, as much as they see they want, if they begin to overtake me in wanting, again my heart will close. There is a direct correlation between how to control the eyes and the opening of the heart. Means if we don’t take the way in which we are constantly looking down, not interested in anything. Trying to keep to ourseleves, and keep our way to ourselves, busy with myself not with others. Then at night take the way of contemplation where I close my eyes and feel comfortable with myself. Many people’s actions are not correct and they do not like to close their eyes. Many even have night dreams and horrors at night. All of that can be resolved with tafakkur and contemplation. 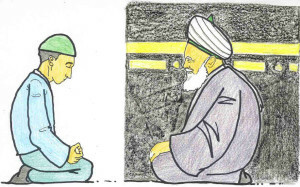 By tafakkur and contemplation we can feel and see and sense our difficulties and our shortcomings. Then their schools are based on teaching people how to make tafakkur, again directly opening the latayif of the heart. Then they begin to train on the senses of your breath that: your way is build on the sanctity of your breath. That is why they can quickly see when people say, “This person is pious,” eh but they are smoking! The way is based on the breath. Impossible. That smoke is killing their heart and their lungs. 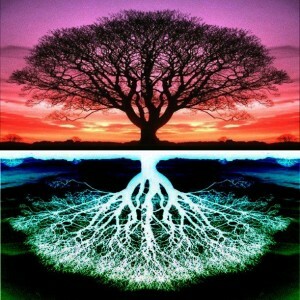 That is just an external example, because the whole reality is based on the breath. You are taking a Divine gift, 24,000 gifts everyday. Allah gives a force of life in which you inhale the breath and rejuvenate your entire being. If Allah (Azza wa Jal) doesn’t give that breath, there is no life. 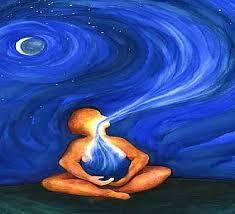 Your entire life is based on the breath. So with that life how can you destroy it or contaminate it or put horrible substances in that breath? So means they begin to teach in tarbiyya: watch your breath, contemplate your breath, be thankful of every breath coming in. That is why Ahl az-Zikr are constantly in a zikrullah. With the understanding that yaa Rabi this breath, this energy, should be in the praising of Your Divinely Presence and of the love of Sayyidina Muhammad, and all the prophets of the Divine. Then they begin to teach with that: then safeguard your hands, safeguard your feet, safeguard all these realities. So you safeguard your hearing, your eyes and your breath. With all of that the greatness of Ramadan opens: that now safeguard your tongue and your mouth. 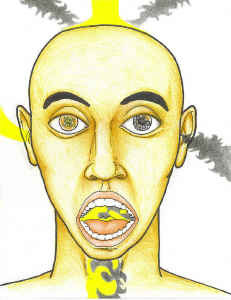 What comes into this mouth is going to affect the entire being. If you put out sustenance and you pray upon what Allah (Azz wa Jal) has given to you to eat and drink. And you eat that which is clean and pure, it is an energy for this physicality to reach its spiritual goals. When that is being purified and cleansed, then Allah (Azza wa Jal) opens from these two openings of your seeing, (Shaykh points towards eyes), from the two openings of your breath (Shaykh points to the nostrils), then it begins to produce the opening of the holy tongue, in which your ears are submitting because this is the inheritance of the prophets. What sets the prophets (apart) from normal human beings is their entire faculty of their head represented Allah (Azza wa Jal). They heard for the Divine means samina wa ata’na (we heard and we obey). They saw not from the material world, they saw from the spiritual world. And whom hears the best speaks for Allah first. The best of hearers in Divinely Presence is YaSeen. Means he has yaqeen as sami, he has the “perfection of hearing” (alayhis salaat o salaam), of hearing the Divinely Presence. As a result of hearing Allah (Azza wa Jal), he speaks for Allah (Azza wa Jal). Means the inheritance of the holy face is what they are asking to dress us with. When Rajab is opening yaa Rabbi grant us from these holy ears that we have yaqeen as sami, perfection of hearing, not the hearing of waswas and backbiting of dunya but hearing of my inner reality. 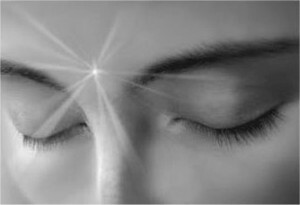 Hearing with perfection what my conscious wants, because we have our soul always in Divinely Presence. Allah (Azza wa Jal) gave us only a small piece of that soul for our body. The greater portion of our soul is always in Divinely Presence under the nazar of Allah (Azza wa Jal) means constantly getting its isharats, constantly getting its guidance. Because the self and the battle with the self will be able to connect with the self that is always in the Divinely Presence. When something is precious Allah doesn’t give it to you to destroy. You have the best gift and you will not give it to a two year old kid and say “Go out and destroy it if you like.” You give them only a sample, a flavour and a taste of it, but the greater reality is always kept in Allah (Azza wa Jal’s) Divinely Presence. Means with opening and disciplining these 7 latayif of the face begins the opening of the heart and the realities of the heart. We pray that in this holy month Allah (Azza wa Jal) dress us and bless us from these lights and to take away bad characteristics so that these ears can hear (spiritual hearing). That is why the imtihan and tests of hearing that these eyes will be closed from the material world and open towards the spiritual realm and the spiritual reality of their soul so they begin to see what Allah (Azza wa Jal) wants them to see from their soul. And breathe from Qudratullah from the Power of Allah (Azza wa Jal) that is all around. Everything from the secret of Hu is in existence means every atom is in manifestation and in praise of Allah (Azza wa Jal) and its essence is from zikr Hu. When you breath with that reality they are able to take from the Qudra of everything around (them) and they bring in that Qudra within their breath. They breathe with that energy, with that light, and they exhale all the difficulties and all contamination. We pray that Allah (azza wa Jal) opens from those realities and bless us from those realities and open our hearts towards the realities. Subhaana rabbika rabbil `izzati amma yasifoon wa salaamun `alal mursaleen wal hamdulillahi rabbil `aalameen. 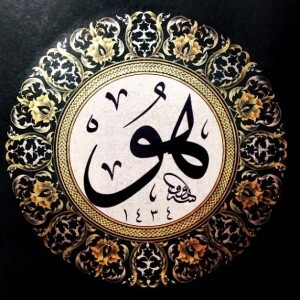 Bi hurmati Muhammad al-Mustafa wa bi sirri surat al-Fatiha.